*(Los Angeles) – EVERYTHING you think you know about the song; “We Shall Overcome”… is WRONG. In his new book, We Shall Overcome: Sacred Song on the Devil’s Tongue, music industry veteran, Isaias Gamboa uncovers the shocking, untold story of the iconic freedom-song and introduces readers to its true author; Louise Shropshire – a sharecropper’s daughter and self-proclaimed “nobody”, who through love and dedication to God, Gospel-music and the African-American Church; overcame racism and poverty to find herself in the inner-circle of Rev. Dr. Martin Luther King Jr., Rev. Fred Shuttlesworth, Rev. Thomas A. Dorsey and the Civil Rights Movement. In the process, Shropshire composed and copyrighted a popular Gospel-hymn that would become secularized and claimed by Pete Seeger and four others – then peddled for untold millions all over the globe by Seeger, Bob Dylan, Joan Baez, Bruce Springsteen and countless others. Exhaustively researched and featuring more than 160 extraordinary photographs -this astonishing book not only describes the disturbing details surrounding the misappropriation of this sacred hymn, but also explores the historical attitudes of Black-exploitation, subjugation and racism in America – attitudes that Gamboa emphasizes, enabled such an unthinkable act to occur in the first place and remain unchallenged for over half a century. 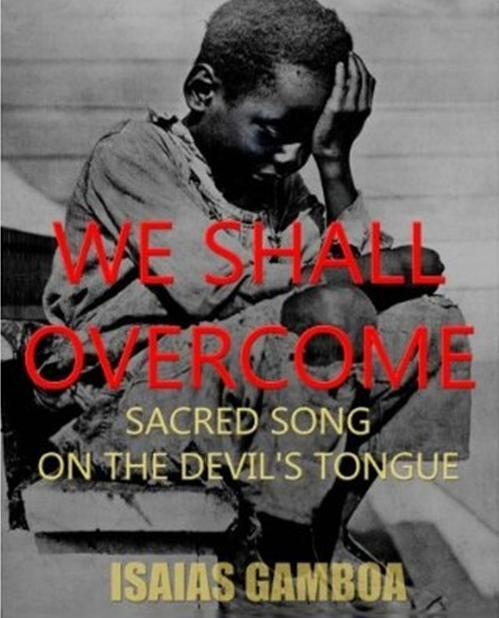 Although the US Library of Congress would call We Shall Overcome; “The Most Powerful Song of the 20th Century” and the song would earn untold millions for its illegitimate claimants, Louise Shropshire would die penniless and unrecognized. About the Author: Isaias Gamboa was born in San José, Costa Rica to parents of Spanish and African ancestry. Over his 30-year career as an acclaimed and Grammy® decorated music-producer, songwriter, recording engineer and arranger, he has scored gold and platinum records working with artists as diverse as The Temptations, Janet Jackson, Tupac, Gladys Knight, Bamboleo and many more. A member of the American Society of Composers, Authors and Publishers (ASCAP), and The Recording Academy, Isaias is also the founder of the non-profit We Shall Overcome Foundation, which is dedicated to humanitarian work throughout the US and Latin America. For more information please visit www.WeShallOvercomeFoundation.org. This is Isaias Gamboa’s literary debut.